These awards are for 23 flats and townhouses designed as a new landmark within Maybole’s town centre. The dramatic triangular block reflects the form of the long demolished shoe factory which once dominated the site. It is now a modern but sympathetic counterpart of the nearby Castle and Carnegie Institute. The project cost £1.7 millions; Ayrshire Housing was supported by a grant of £1.1 millions from Communities Scotland. The balance has been funded by a loan from the Bank of Scotland. 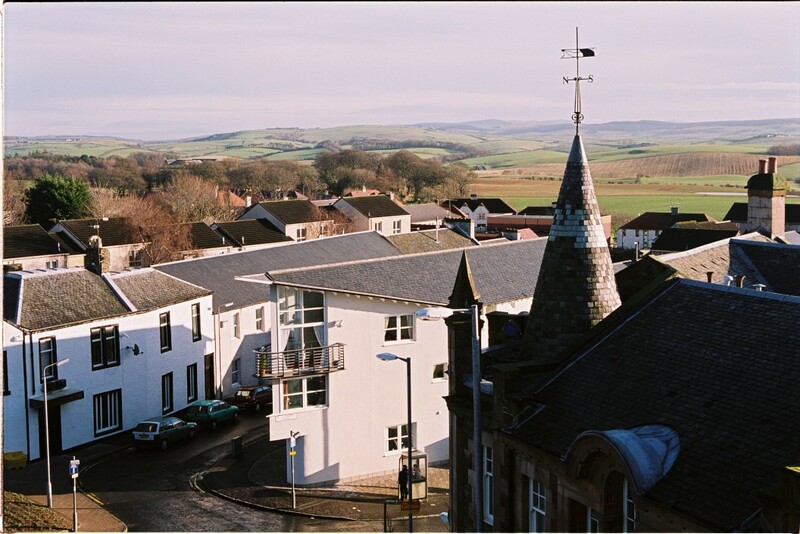 The site was identified as a key one by South Ayrshire Council in its Local Plan review since it forms part of the Maybole conservation area. The development has thus been welcomed by the Council’s planners. Designed by Wren Rutherford & Austin-Smith:Lord who also designed the award winning Dundonald development. Built by Hope South West Ltd.